Wholesale toothpaste, toothbrushes and more at bulk prices. Come and explore our personal hygiene products, many brands available. Brands like Freshmint, freshscent, axe, purell and more. Gather your list of hygiene supplies and make your own hygiene kit to donate to the homeless. The majority of sellers out there will sell you the cheapest item at sky rocket prices. Give us a call for large quotes. If you need a special item and don't see it contact us! What is personal hygiene definition? Personal hygiene is generally defined as cleanliness of the body and proper maintenance of personal appearance. This generally includes all body areas and clothing. 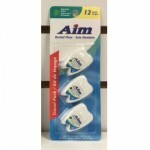 AIM Dental Floss $1.19 Each. 3 pk. AIM Dental Floss 12 yardsMade of lightly wax materials Designed to slip easily into teeth with..
Chap Ice Chap Stick Bulk $0.45 Each. Chap Ice chap stick, Helps to prevent sunburn and relieve chapped lips. Wholesale hygiene produ..
Freshmint Toothpaste 0.6 oz. $0.16 Each. Freshmint Anti-Cavity fluoride wholesale toothpaste. Fantastic for traveling and for everyday ..
Freshmint Toothpaste 4.6 oz. $0.76 Each. 4.6 oz Anti-cavity Fluoride Toothpaste with a light, fresh mint flavor.Size: 4.6 ozLaminated tube co..
Freshmint 1.5 oz. Toothpaste $0.48 Each. Wholesale freshmint toothpaste in 1.5 oz. tube, boxed individually for distribution with a hygiene k..
Freshmint Dental Floss $0.51 Each. 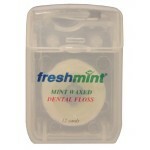 Freshmint wholesale Dental Floss. This is one of those wholesale hygiene products that you need to h..
Freshmint Gel Toothpaste 0.6 oz. $0.20 Each. 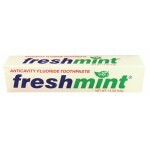 Freshmint Gel Toothpaste 2.75 oz. $0.58 Each. Freshmint Clear Gel Toothpaste comes in a clear tube with a screw on lid. 2.75 oz.Clear gel formulaM..
Freshmint Kids Toothpaste 0.85 oz. $0.39 Each. This children's wholesale toothpaste has a really delicious bubble gum flavor. Great price as most..
Freshmint Mouthwash 2 oz. $0.40 Each. Perfect for travel, hotels, and gym bags! This alcohol-free wholesale mouthwash come in a clear bot..
Freshmint wholesale toothbrush with rubber grip. This toothbrush is mainly for adults.White w/ rubbe..
Freshmint Toothpaste .85 oz. $0.34 Each. This product helps to prevent or reduce tooth decay. Anti-Cavity wholesale toothpaste that is a grea..
0.6 oz Anti-cavity Fluoride wholesale Toothpaste with a light fresh mint flavor. Perfect for travel,..
Freshmint Toothpaste 1.5 oz. $0.42 Each. Freshscent wholesale Toothpaste 1.5 oz. Anti-cavity Fluoride Toothpaste with a light, fresh min..
Freshmint Toothpaste 2.75 oz. $0.54 Each. Freshmint Toothpaste 6.4 oz. $1.30 Each. Anti-cavity Fluoride Toothpaste with a light, fresh mint flavor.Size: 6.4 ozPackaging: Laminated tub..
Freshmint Pediatric wholesale toothbrush in white.WhitePolypropylene plastic6" inchesIndividually wr..
Oral-B soft toothbrush for kids. The one brand to trust when it comes to your dental hygiene. Get yo..
Seagull Medium Toothbrush $0.42 Each. 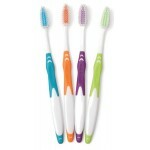 Seagull Medium Adult Toothbrush comes in assorted colors. Get the best prices shopping with us. 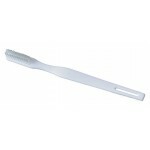 ..
Toothbrush 30 tuft $0.14 Each. Freshmint 30 Tuft Nylon toothbrushWhitePolypropylene plastic6" inchesIndividually wrappedCase of 144..